There's no such thing as bad weather, just bad attire. When I see cloudy skies up above, it doesn’t get me down. I love when it rains, because it means I get to show off my umbrellas. Plaid is an excellent choice for an umbrella because its many color accents can help bring together your outfit. 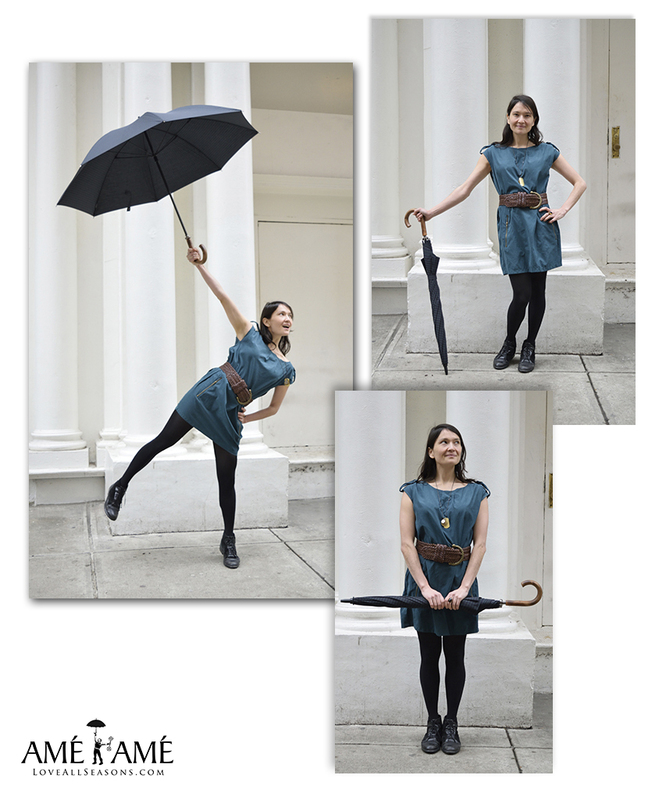 And having an umbrella to match anything you decide to wear can be pretty helpful on days when you don’t want to spend too much time or though on what to wear. Your umbrella will carry you! Looking for Naot minstral boots and a plaid umbrella to try this look? You can find them at Amé Amé. Amé Amé is located at 17 W 29th St, NYC, between 5th avenue and Broadway and across the street from the Ace Hotel.